This move, planned about two months in advance, went exactly (or better) than planned. Picture boxes and Wardrobe containers were provided in advance and we were ready. 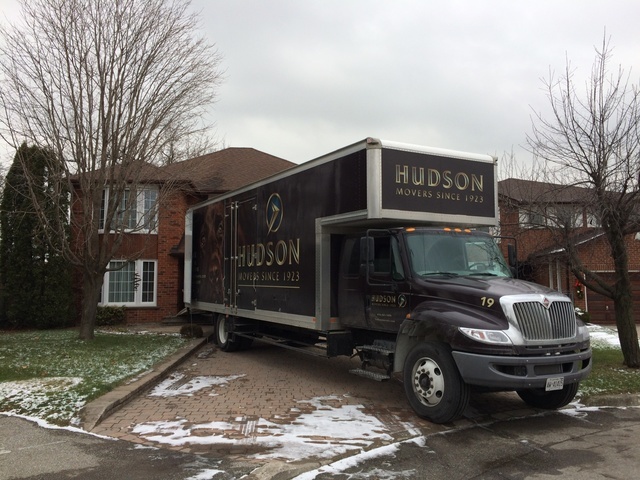 Hudson Movers called as promised just before the move, and confirmed that their truck and staff would arrive at 09:00 the next day, and the day following as it was a planned two day move. They arrived as promised, installed appropriate protective materials around the front door, floors and staircase bannisters, and they set to work with energy and obvious efficiency. The staff were friendly, helpful and always accommodating of our questions and requests. The move was completed more quickly than planned as a direct result both of our preparation and the Hudson efficiency. The final cost came in less than the estimate and a refund cheque was provided immediately. I would not hesitate to recommend Hudson Movers to friend, family or stranger. We are very happy to hear that we were able to meet your expectations and that the crew executed the two day moving plan on time and under estimate. We appreciate your support of Hudson Movers. Thanks again and we wish you all the best and enjoy your new home.